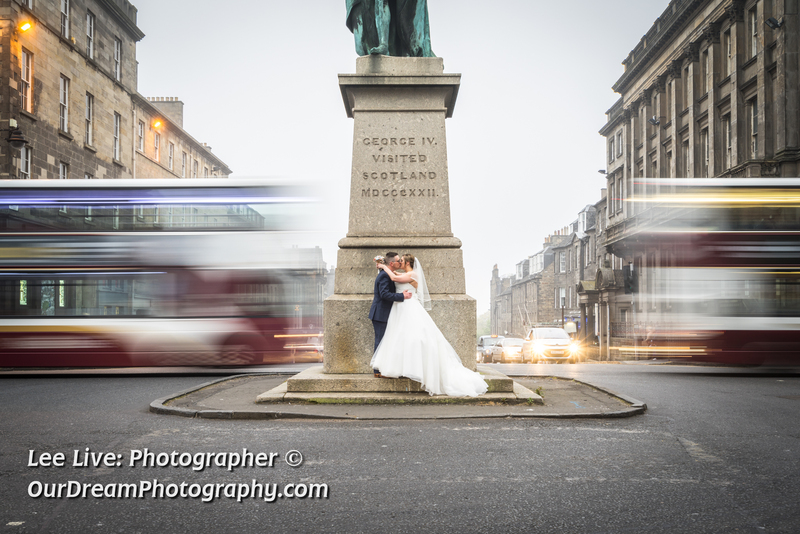 I was booked to Photograph the Wedding of Chris and Lara at The Royal Society of Edinburgh in the City Centre. I arrived around 30 minutes before the ceremony to take shots of the room and also some of the detail shots of the dinner area. 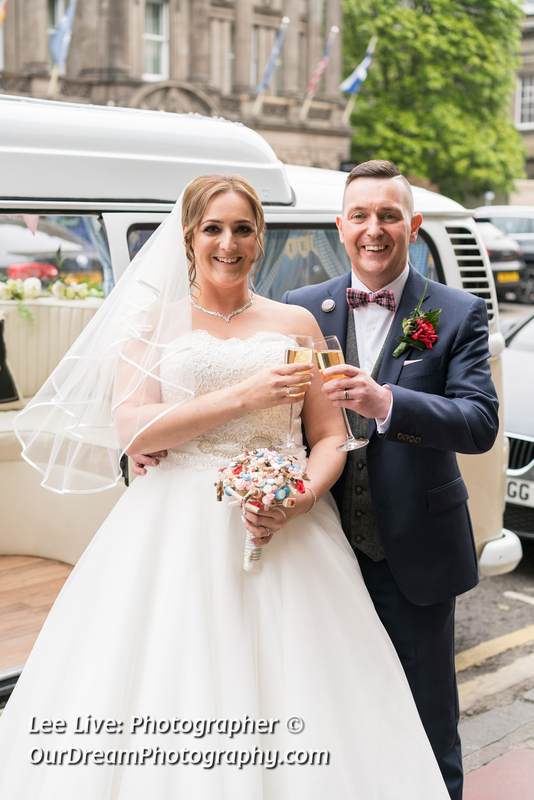 The Bride and her Bridesmaids arrived in a fashionable VW camper-van. I was asked to obtain a behind-the-door shot. So I positioned the Groom in a backroom and got them to hold hands without seeing each other either side of the door to the room. Then the groom dashed upstairs to the ceremony. The ceremony was in the Sir Walter Scott Room. A harpest was playing as guests arrived. I used remote camera to capture images from the opposite side of the room. But was still able to walk about to get the best angles. After the ceremony I started with a couple of large group shots (including everyone) and then whittled down the groups to just to Bride and Groom. Once done they caught up with guests and relaxed with a glass of bubbly. I was able to capture some candid shots of guests during this drinks reception. This left just enough time to dash to St. Andrew's Square for a couple of shots before the Wedding Breakfast.